Counting On couple Josiah Duggar and Lauren Swanson have revealed to fans that they suffered a miscarriage just months after they tied the knot last year. Josiah and Lauren shared the news in an emotional video on the Duggar Family blog, which the family often uses to share updates with their fans. “So a couple months ago, we found out we were expecting but suddenly thereafter, we lost our baby,” Lauren said in the video. “It really was a hard time for our family, going through this right after we got married and all the dreams of getting to see our little one and hold it in our hands dashed before our eyes,” Josiah added. The couple went on to offer comfort to others who may have suffered the “real and terrible” pain of miscarriage, reminding them that they don’t have to “suffer in pain alone” and that they are not at fault. The couple offered similar words of encouragement in their video announcement. “We really wanted to share our story because we know a lot of people go through miscarriage but nobody really talks about it, so we just want to let y’all know that you’re not alone,” Lauren said in the clip, followed by Josiah thanking ‘Counting On’ fans for their prayers and support. 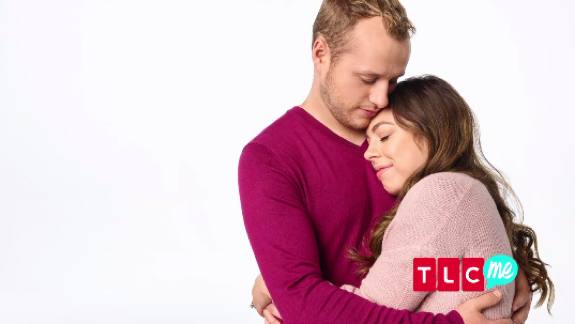 The video announcement ended with a short preview from the upcoming season of ‘Counting On,’ in which we learn that the news of Josiah and Lauren’s miscarriage will be featured. Season 9 of ‘Counting On’ premieres tonight on TLC. It is ab absolutely horrible thing to go through, I honestly wouldn’t wish it on my worst enemy. But this whole “no one talks about it” line, is a load of bs in today’s world, where such is so widely available to any and all who want it, especially here in the US (and much of the developed world). Having suffered through more than I believe anyone should in that arena, it bothers me a lot when people say that help, support, guidance, even understanding, isn’t out there. I know the Duggars may have told their children this, but it’s just not true. It very much is, there are so many places we can turn, if and when we are ready or in need of such. Every woman grieves her loss(es) differently, so I very much respect women that cannot or simply do not want to, discuss this or seek out help. I also very much respect women that do. Neither option is easy, and both can be a wild roller-coaster of emotion. I can honestly say I have experienced both scenarios. In one particular case, discussing anything surrounding it was so very painful, it often took me to a very dark place. In other instances, the talking, seeking support, finding guidance, and helping myself believe that grieving and discussing what I felt I had lost is okay, is what helped me the most. It still bothers me, a LOT, that someone would use something like the loss of a life, to advertise a tv show, though. It probably shouldn’t bother me, especially given how this family has always behaved, but it does nonetheless. Although I respect their desire to inform people, share their sorrow, share their loss and current feelings, I will never respect that use of advertising hashtags surrounding something like pregnancy loss 🙁 That just makes it seem as if this little life taken before it even had a chance, is merely a hashtag too. Yes, I realize, considering the nature of this loss, how horrible that may sound to some. It’s not intended that way, but I can understand if some may see it as such. I do wish happy things, and whatever family goals this couple has in their future. I also hope that the rest of family(ie, Jim Bob and Michelle) see this as what it is, a terrible, tragic loss, and not a publicity stunt. Pretty sad that they felt the need to announce this. Jinger didn’t have a kid forever – don’t know why, maybe because she wanted to wait, maybe because she had issues conceiving or being pregnant, I don’t know – and the world has managed to keep spinning. People should be more concerned with their own like and less concerned with this girl’s uterus. The preview clip of her talking about it in the upcoming season broke my heart. And having people assume and question the state of your uterus makes it even harder. I hope this is a reminder to viewers/followers to be kind, don’t question when a woman is planning to get pregnant because you never know what they’re going through. Prayers to them during such a difficult time and a big thank you for being so open and reminding those in similar situations that they are not alone. I wish the Duggars wouldn’t put such emphasis on having kids, especially RIGHT away. I know Erin Bates suffered a bunch of miscarriages. That alone is heartbreaking, but then with all the teachings they have where baby making is the top priority, how can you not take that to heart too. Focus on beg and growing as a couple and if pregnancy happens, it happens, if not, there are other ways to have children in your lives if that is what you wish. Imagine how Michael Bates feels. She and her husband are having fertility problems. Josie Bates (Balka) just announced a pregnancy despite being married since only October. And Michael is still here, more than 3 years later, no baby. 1 in 4 women experience pregnancy loss so it’s bound to happen to a couple of them. That’s awful and heartbreaking. There is also probably a ton of pressure on them to have a baby, which makes this that much harder. I don’t care how crazy that family is that is absolutely heartbreaking to lose a child. I don’t watch this show but it’s a horrible thing to go through. I hope she finds peace with what happened. It’s been about a year since mine and my husband and I still get nightmares often from it. She is also still very young (19), I really can’t imagine going through something like this at such a young age.